Ahmad Yadgar, 16th century historian of the Afghans in India. The details of his life are not known. 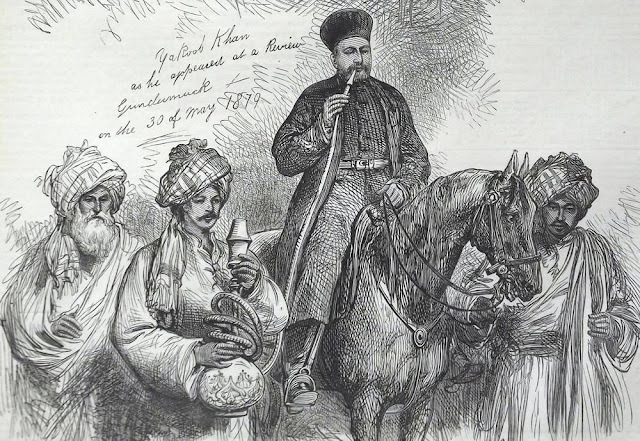 The only information he gives about himself is that he was a courtier of the Afghan ruler of Bengal, Daud Shah Karrani (1572-76), who ordered him to write a history of Afghan rule in India along the lines of Juzjani’s Ṭabaqat-e Naṣeri and Barani’s Tariḵ-e-Firizshahi. The work he compiled, called Tariḵh-e-shahi or Tariḵh-e-salaṭin-e afaghena, gives an account of the reigns of the Lodi and Sur sultans. The oldest extant manuscript was transcribed in 1054/1644, and the work was published by the Asiatic Society of Bengal. Aḥmad Yadgar has recorded his indebtedness to such earlier works as Neẓam-al-din’s Ṭabaqat-e -Akbari (compiled 1594), and Aḥmad bin Bahbal’s Madan-e akhbar-e Aḥmadi (1611). This would indicate that the Tarikh-e-shahi was completed after 1611, probably in Emperor Jahangir’s reign (1605-27). It appears to have been carelessly written, and is deficient in providing correct dates of events. It does not achieve the level of the Ṭabaqat-e Naṣeri or the Tarikh-e-Firuzshahi.